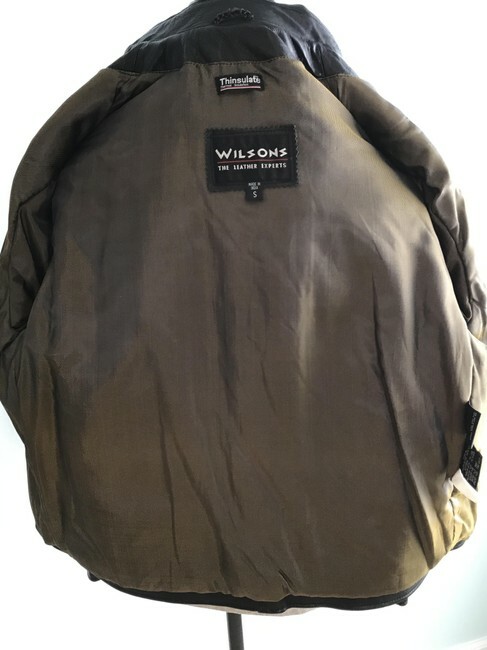 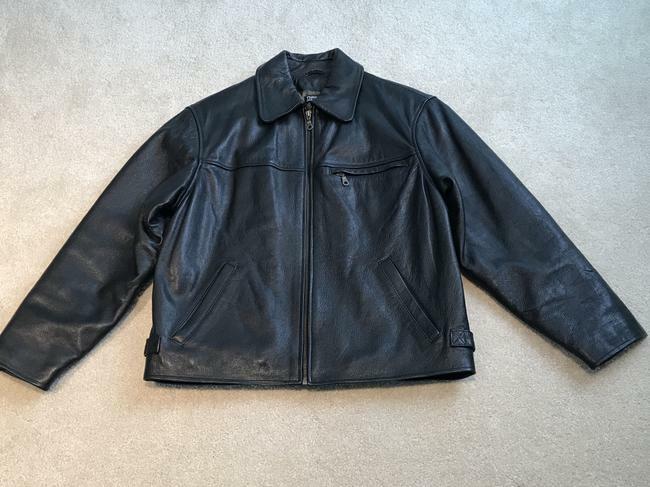 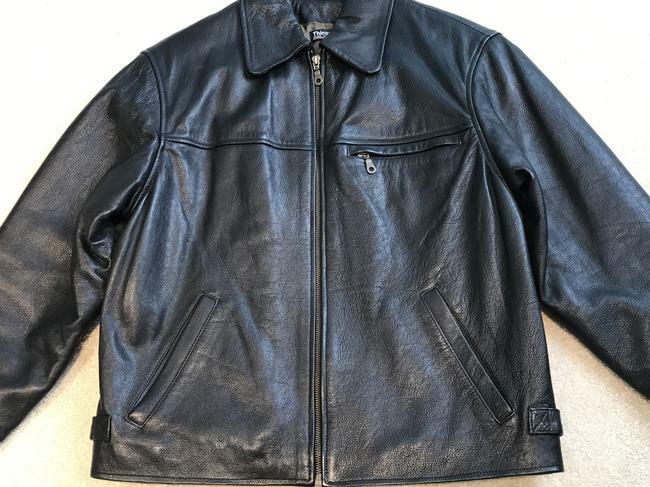 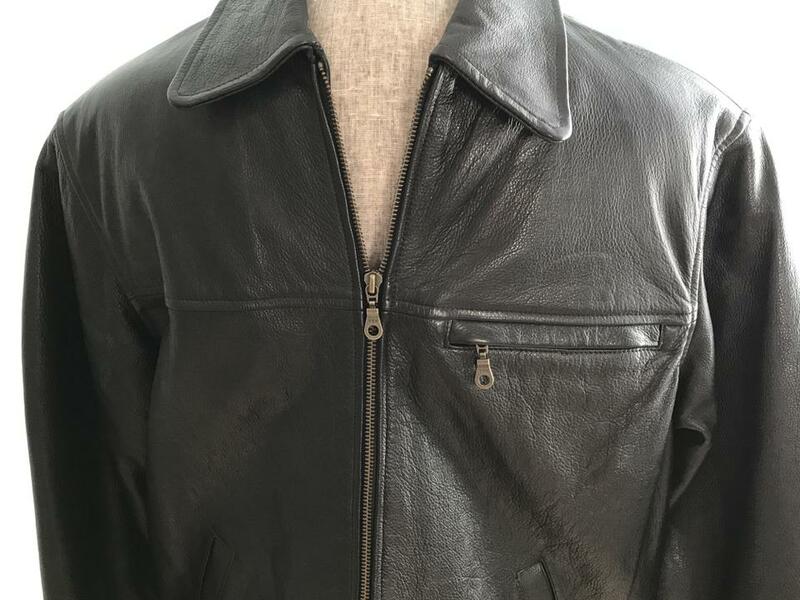 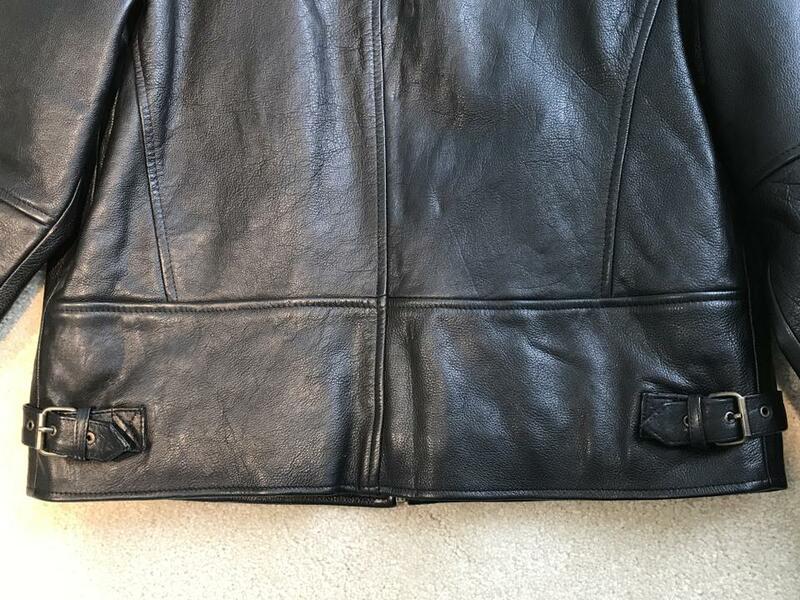 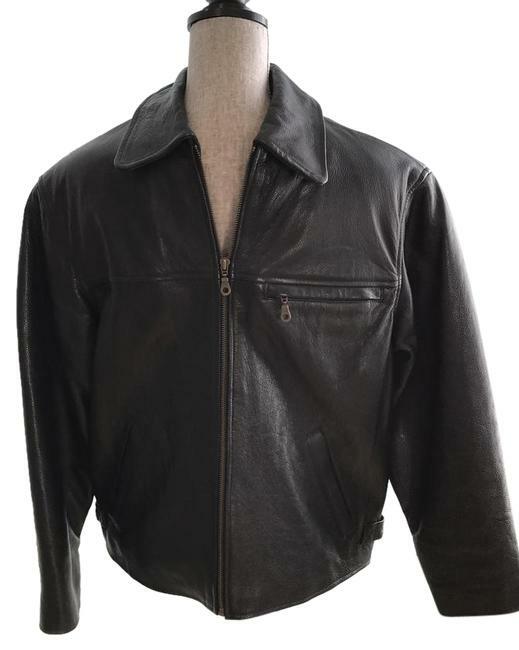 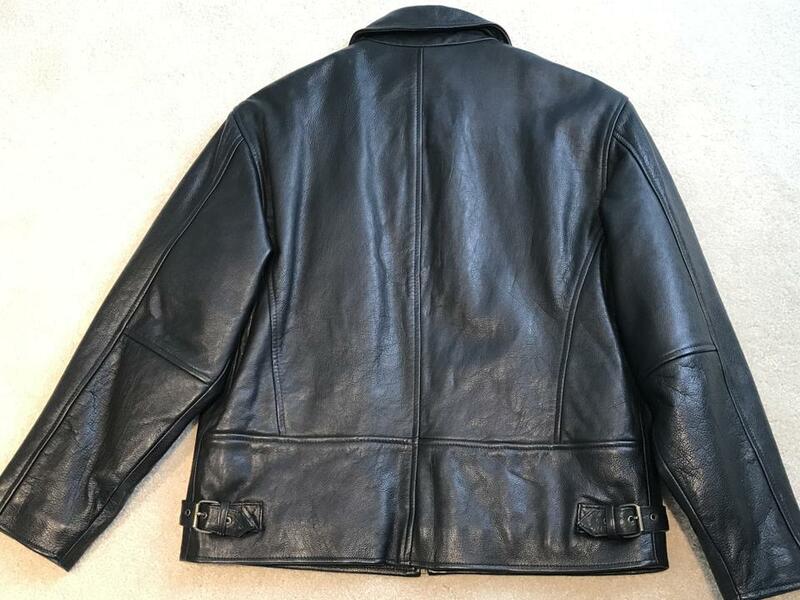 Great-looking men's Wilson's black leather jacket. Front zip closure. Front chest zip pocket. 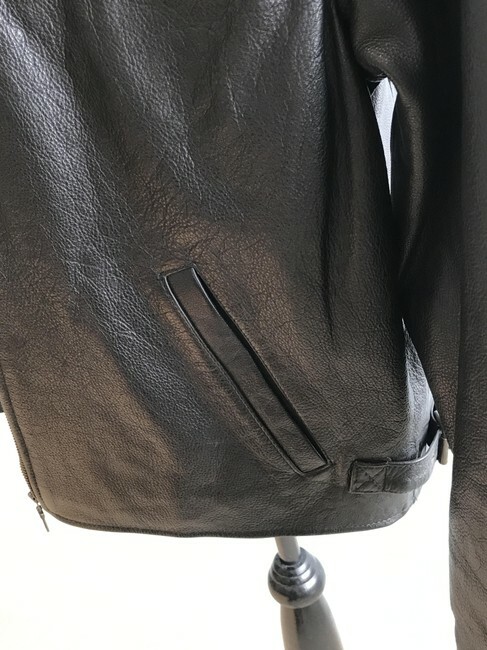 Two front slip pockets. 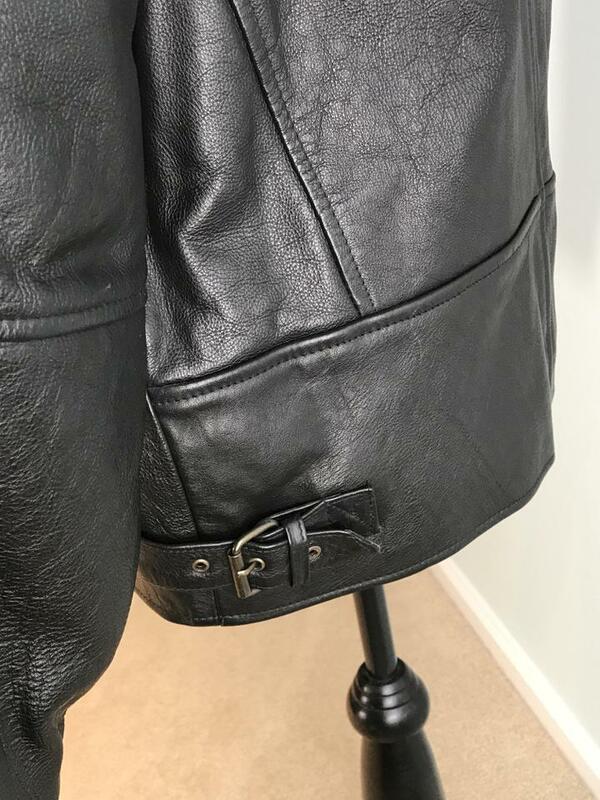 Side adjustable buckles. 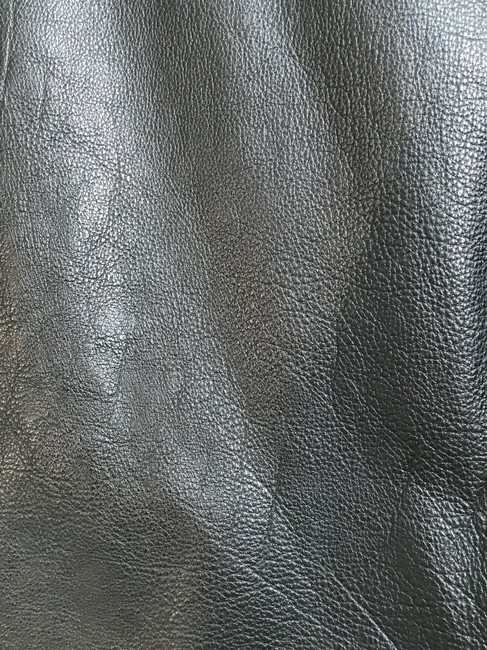 Thinsulate lined for all-weather wear. 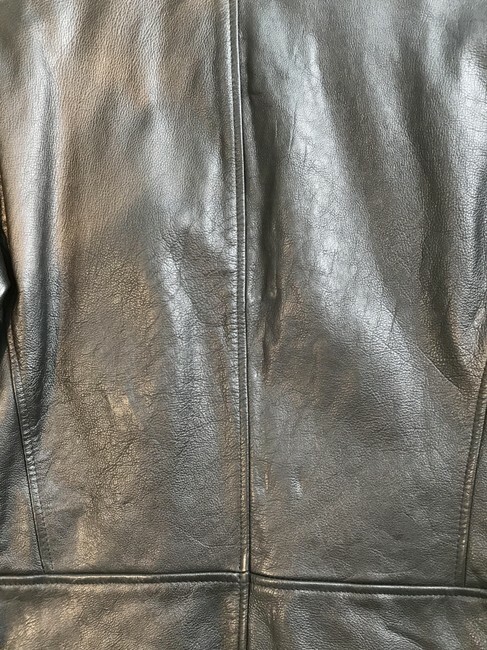 Condition is like BRAND NEW. 100% leather.